Congratulations! If you’re reading this post, odds are pretty good that you’re the proud new parent of one of our little Doodle pups—or you’re about to be. One of the most important decisions you’ll have to make is which of your local veterinarians is best equipped to take care of your puppy’s health and well-being. 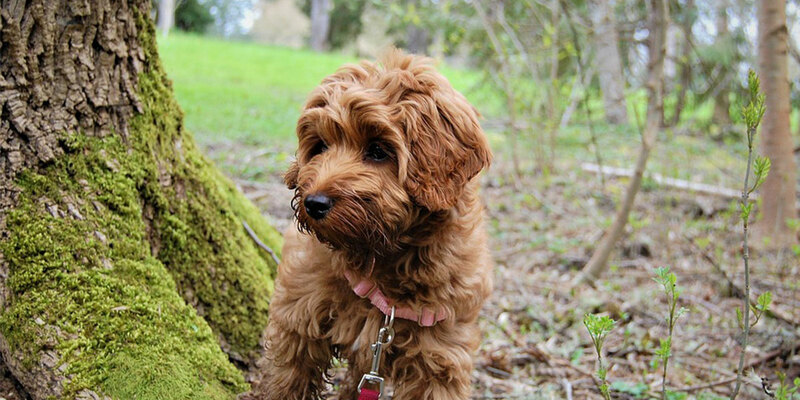 A great vet will be your partner throughout the life of your dog, and will help guide you in tough situations to keep your Doodle as healthy as humanly possible. Great vets also tend to have busy schedules. Because we encourage new Doodle owners to schedule their pup’s first vet visit within the first week of their arrival, be sure to book a date with your vet as soon as you know when your pup is scheduled to arrive. Where can I get emergency care for my puppy at night, on weekends, or on holidays? There’s nothing scarier than running into a medical emergency with your new puppy outside of normal business hours and not knowing where to turn. While many veterinarians are not available 24/7, your vet should be able to provide contact information for his or her preferred emergency care hotline/facility when their office is closed. What exactly does the office offer, and what are their capabilities? While some vets do have their own on-site surgery center, many don’t. Ask your veterinarian which types of tests and procedures they’re able to perform on-site, and which require referrals and visits to other locations. Which types of parasites and pests are common in the area? 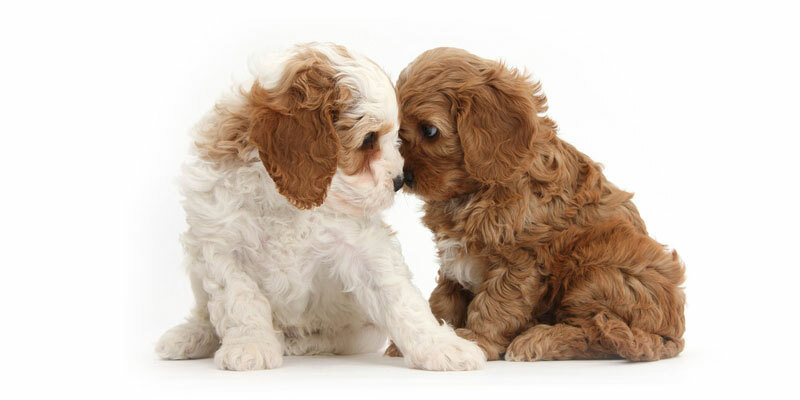 Uptown Puppies have received multiple vaccinations and deworming medications before they arrive at your home, but different locations can vary in terms of which parasites and diseases are more common. Your vet should be able to describe the most common ailments for your area, and which symptoms to look out for. Which vaccines are necessary? Which are optional? Your Uptown Pup should already be vaccinated against rabies, parvovirus, adenovirus and distemper. However, certain locations suffer higher prevalence of other dangerous diseases like Lyme diseases, leptospirosis and Bordetella—ask your vet which local diseases pose the highest risk to your new puppy. When is the best time to spay/neuter my puppy? We strongly encourage all dog owners to spay or neuter their pets as soon as possible, and spaying/neutering is compulsory to receive the full benefits of our Uptown Health Guarantee. 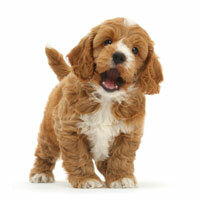 Ask your vet when is most appropriate for your specific breed and pooch. What can I do to stop my puppy from getting hurt? Your vet has seen hundreds or maybe thousands of different dogs, and will know some of the most common injuries—and how they occur. 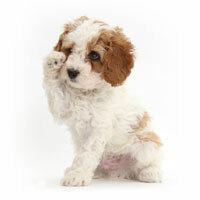 Remember, proper training will go a long way towards keeping your puppy safe and out of trouble. What’s the best way to groom/bathe/etc. my puppy? 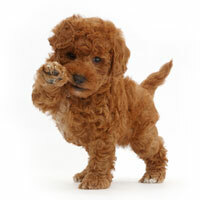 Home grooming and care is essential for any dog, but some owners are intimidated by brushing teeth, trimming nails or cleaning ears. Ask your vet to show you the best way to keep your pup looking and feeling fresh. Which tick/flea medications do you recommend? Even if you live in the city, your dog can still pick up fleas and ticks. These pests adapt to all sorts of environments and travel from the countryside to urban areas via humans, wildlife and other pets. 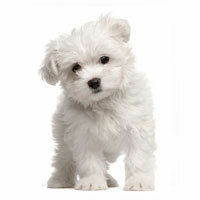 While there are many options for flea and tick prevention, your vet will help you choose the best one for your puppy. What do you consider to be a healthy weight for my dog’s breed? Your vet will help you make adjustments to how much and how often you should be feeding your puppy in order to keep your dog at a healthy weight. 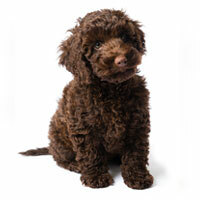 While Doodle puppies have voracious appetites and are unlikely to put on extra fat, obesity in dogs does come with a host of health problems. Uptown Puppies come with a month of free insurance from Petplan, which is considered by many to be the best puppy insurance available. In worst-case scenarios, prices surgical procedures or treatments for rare diseases can be astronomical without a good insurance plan, so asking about your vet’s insurance policy should be one of your top priorities. How often should my pup be examined? Puppies normally visit the vet about once per year for regular check-ups, but check with your vet to find out what works best. Do you accept walk-ins, and what is your average wait time? For those emergency situations, you’re going to want to know that your vet doesn’t require you to wait 30+ minutes to receive assistance. 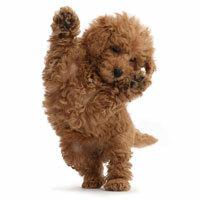 Whether or not your veterinarians accepts walk-ins or not could be a deal-breaker for some owners, so be sure to ask! How much do routine visits cost? Don’t be shy, vets get this question all the time. Better to find out ahead of time than be surprised by your pup’s first medical bill. Do my pet’s medications have generic alternatives? Much like human medicine, some pet medications have cheaper, generic alternatives that work just as well as the name brand drugs you see advertised on TV. Be sure to ask! Arm yourself with knowledge now to make life with your new Doodle easy and fun for years to come. Your vet is here to help you and your dog, so don’t be shy to ask questions—they’ll appreciate it a lot more than you think!